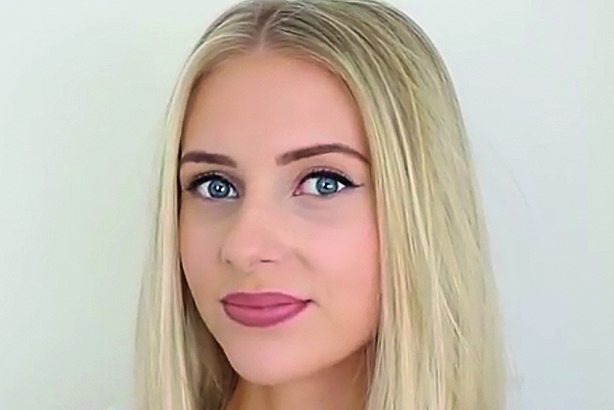 As part of PRWeek's 50 hot new influencers feature, we caught up with 'spontaneous' YouTube sensation Fabulous Hannah. Describe yourself, your site/channels and how you got started. I’m quite a creative person – definitely more creative than academic (common sense is not my forte). I try to keep things fun on my channel; keep things ‘me’. I like to hope that the people who watch my videos think of me as a sister – the sister who might not give the best advice, but likes to convince herself that she knows what she’s talking about. The creation of my channel was fairly spontaneous. Fifteen-year-old Hannah had a bit of a teenage crisis. I finally realised: "Han, you need to do something with your life." I was bored, so I picked up my camera, slapped on some lipstick and off I went. Best. Decision. Ever. How have you worked with brands or causes? When it comes to brand collaborations, I have always aspired to put a ‘Fabulous Hannah’ twist on it. From meetings with brands to producing content for them, I like to make sure they know me as a person and (hopefully) like me. New influencers: are they changing the face of PR and marketing? What kind of collaborations with brands work best for you? I have found that the best brand collaborations are always when they allow me to put my own spin on things. My audience watch me for me. I feel the result is always more successful when a brand allows me to still be myself while working with them. What works less well and what would you not do? I like to keep things positive in the land of Fab Han, but I wouldn’t work with a brand if I didn’t feel passionately about their product or service. My viewers feel like my friends, so I would only promote a brand that I would recommend to a close friend. The kind of collaborations that don’t work as well are if a creator is working with a brand without passion. What is your favourite social-media platform and why? Twitter – it feels so personal and it’s the easiest way to engage with your audience. It’s nice to be able to chat to the people who watch my videos and get to know them. I’m also pretty sure my Twitter followers are some of the funniest people on this planet. I like to think that "my vibe attracts my tribe", so I’m clearly a comedy genius (or so I tell myself). I see myself still being content with my career and I like to hope that people won’t have got bored of my slightly rubbish jokes. As long as I’m happy, I’ll be content.